The dry heat makes the grass yellow outside the Harvard athletic complex, but the AstroTurf remains green for Boston Calling. As Boston’s festival goers descend upon the complex, the smell of fried food, sweat, and just a whiff of the ganja permeates the air. 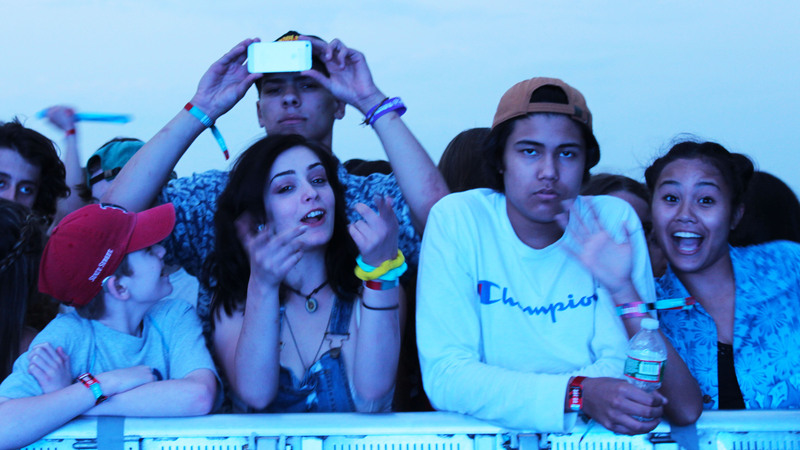 But why do people come to music festivals? For the star-studded line up or for those strange moments of community found in the ever-pushing crowd? For the Insta/snap story or for the time with friends? For the likes or for what they like? And perhaps more importantly, what makes music festivals special? Are they like a lunch buffet special that is only appealing in combining everything for one, reasonable package-price? Or is a music festival greater than the sum of its events? On Friday afternoon, Noname performed on the green stage.